You may have gotten married or divorced, blended a family, gotten your dream job, bought a house or started a new business, even had twins. You own assets now, and you have people that depend on you and for whom you need to provide. So, let’s ask the hard questions… what happens if/when you die or become incapacitated? How do you make sure that your assets are distributed according to your final wishes? No matter how old you are or your financial circumstances, everyone should have peace of mind that his/her loved ones and dependents will be taken care of into the future. What are the legal requirements to create a will in Virginia? You must be of sound mind and mentally competent. You must have two witnesses present when you sign your will, and your witnesses must also sign in your presence. It is not a requirement in Virginia that a will be notarized. What types of property can be included in a will? What happens to my assets if I do not have a will? If you die without a valid will or intestate, then the intestacy laws of the Commonwealth of Virginia will decide who receives your assets. What is an executor? What is his/her responsibilities? Do I need an attorney to create my will? There is no legal requirement that a will must be drafted by an attorney. But the importance of a properly drafted will cannot be understated. Your will details how to handle your affairs after death, who will inherit property, and who will be the guardians of your minor children. Unfortunately, you don’t get a second chance to get it right. By creating a DIY will, you take the most important component out of the picture…the advice and counsel of a Virginia estate planning attorney. Mistakes, omissions, contradictions, and faulty language may have consequences that you never intended. Your wishes may not be fulfilled, and your beneficiaries may suffer because of your unintended mistakes. Do I need other estate planning documents besides a will? The short answer is yes. 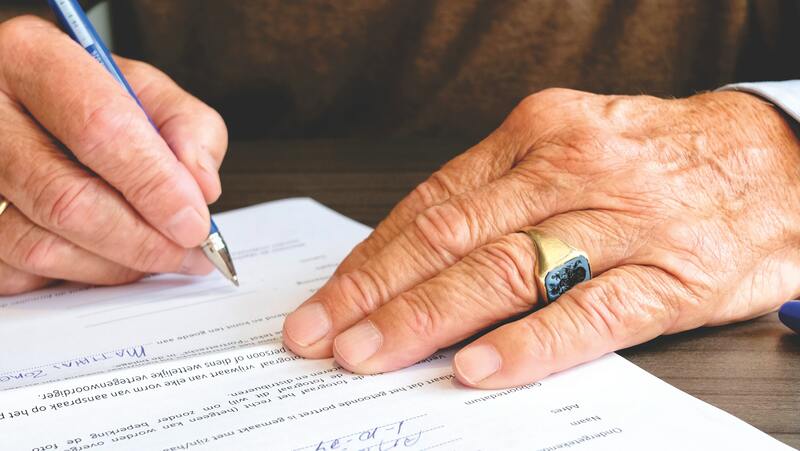 You may need other documents to complete your estate plan, including a revocable trust, durable power of attorney, and advance health care directive. The best way to ensure that your wishes for taking care of your loved ones and distributing your property are carried out after your death, is to consult with a knowledgeable and experienced Virginia estate planning attorney who will work to understand your specific situation and draft the appropriate documents to make sure your intentions are fulfilled. Remember, if you don’t have an estate plan…the Commonwealth of Virginia has one for you. For more information about drafting a will and our estate planning services, and packages, contact our office today at 703.938.3510 or visit our website: www.NorthernVirginiaTrustsAndEstates.com.